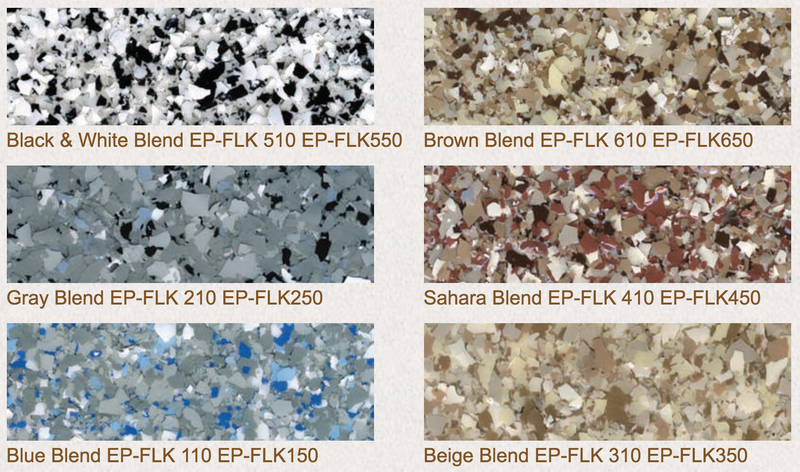 Concrete Coatings, Inc. decorative acrylic broadcast flakes are used for partial, random or full broadcast flake epoxy floors. These flakes are available in a full spectrum of colors. Flakes can be combined in any combination for unlimited color choices. Packaging: 10 or 50 lb. boxes - Available in single or pre-blended colors. Coverage: Varies – Call for details. May be applied as a random, full or double broadcast. Acrylic broadcast flake 10 lb. box or 50 lb. box - Product codes listed under blends. Product codes ending in 10 =10 lb. and 50 = 50 lb. Concrete Coatings, Inc. urethane-coated semi-angular quartz sand for installing full broadcast decorative epoxy flooring. Packaging: 50 lb. boxes - Available in single or pre-blended colors. Coverage: Varies – Call for details. 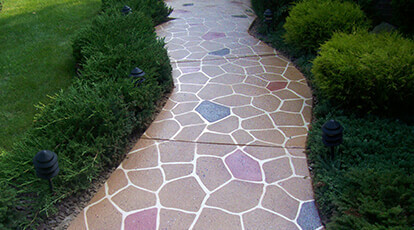 Urethane-coated colored quartz sand 50 lb. box. Product codes listed under blends. Required order minimum: 8 - 50 lb. bags for quartz blends or 1 - 50 lb. bag for solid colors. Blends shown are full broadcast. Shield 50™ or UV Shield™ epoxy may be pigmented in these colors.